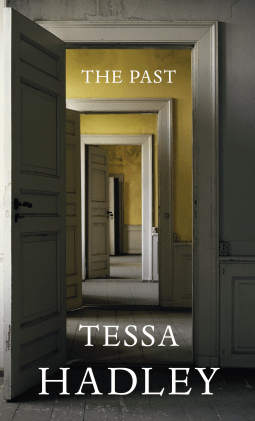 The first conclusion I reached about this novel by Tessa Hadley is that she really loves this house and the surrounding countryside, because the description is sumptuous. Hadley writes as if it is a real place, well-known, personal. I enjoy reading books where setting is atmospheric, almost like the addition of a character. This is a story of a family reunion, four siblings – a brother and his three sisters, plus various children, partners, hangers-on – who get together for three hot summer weeks at their grandparents’ decaying house, the house they jointly inherited and must decide what to do with. Alongside this reunion we are told of the young children’s games of fantasy revolving around a dilapidated cottage in the woods, and the adolescent romance of Molly, 16 year old daughter of Roland, with Kasim the hanger-on and son of an ex-partner of Alice. Are you still with me? Unfortunately I found the characters not particularly likeable, perhaps more investigation of their pasts would have helped me with this. Instead Part Two, the only passage set in the past, belongs to Jill, mother of the four adult children and long deceased. The ramifications of Jill’s storyline on her children in the present day impacted so lightly that there was no dramatic effect, almost as if the author shied away from adding drama. I wanted to like this book, but for me it never really got started in terms of plot. The writing is lovely, the description of house and nature is sumptuous, but it felt rather as if the author transferred her own love for the house and nature in general onto the sisters, as all three sisters at some time or another observe nature’s beauty. Unfortunately it felt a bit samey. For me, the book was an anti-climax. Things promised but not delivered, hints leading to nothing. I admit to being baffled by the storyline involving Pilar – Roland’s Argentine wife – one of the junta’s disappeared children, now being pressurised to confirm her real identity. Pilar’s story contributes little to the family dynamic, only in that she confides her dilemma not to her husband but to her sister-in-law Harriet. Harriet subsequently mistakes Pilar’s friendship for something more. Ultimately this is beautifully written but slow. Unlike Colm Tóibín, who also writes slow people-focussed novels of domestic detail, this left me feeling unsatisfied.